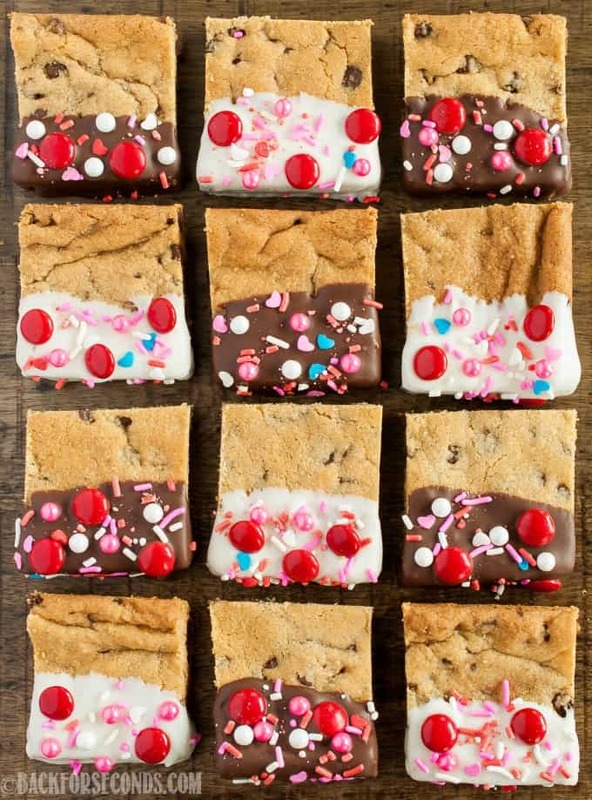 Valentine’s Day Cookie Bars are a fun, easy dessert perfect for parties! 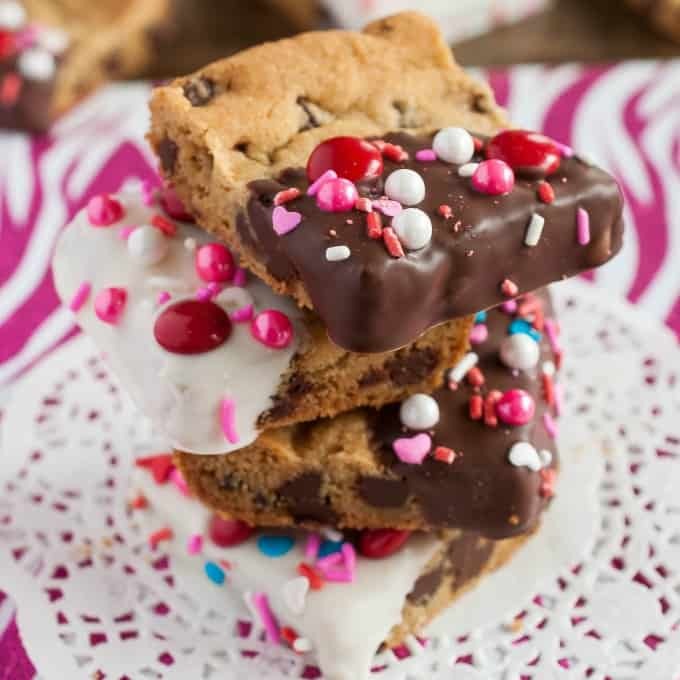 Soft, chewy chocolate chip cookie bars dunked in chocolate and decorated with love! Do you celebrate Valentine’s Day? I have never really been big on holidays like this, but I still do a little something for my hubby and all the kids. 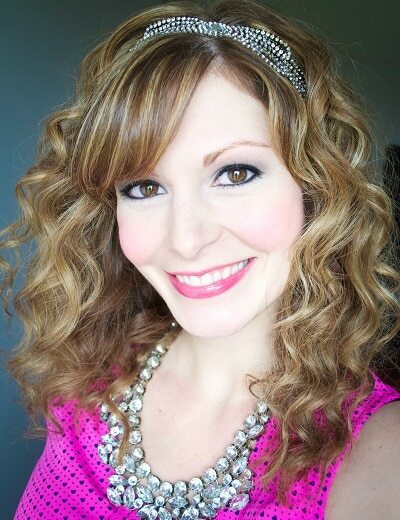 Recipes like the one I’m sharing with you today are so great for pretty much any occassion! Just change up the toppings to match whatever it is you are celebrating. These bars are quick, easy, and so fun to make! My birthday is two days before Valentine’s Day, so I have always been more excited about that than a made up holiday, haha! However, my kids are little and they like to celebrate, and because I love them, that’s what we do! I usually bake a special treat, surprise them in the morning with heart shaped balloons and boxes of chocolate, and sneak love notes in their lunches. I also like to make a fancy meal for my husband, and surprise him with a little something too. 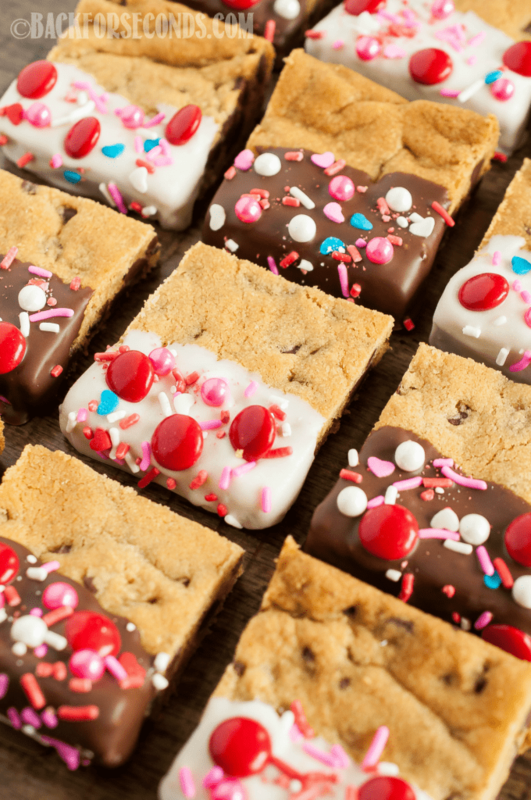 Whether you celebrate or not, cookie bars are always a good idea. 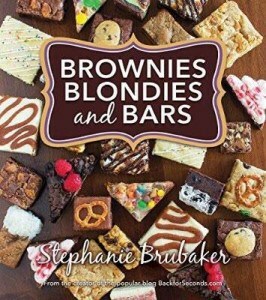 Make them for your family, pass them out to friends or neighbors, or send them into your kids school for the teachers! 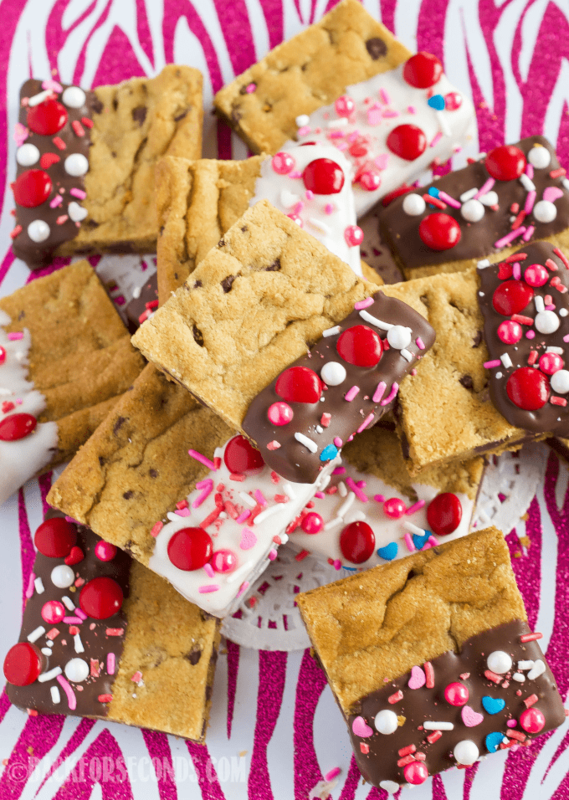 These soft and chewy cookie bars are a sweet little way to show some love. Enjoy! I know I am too late to this post and thought of commenting here. 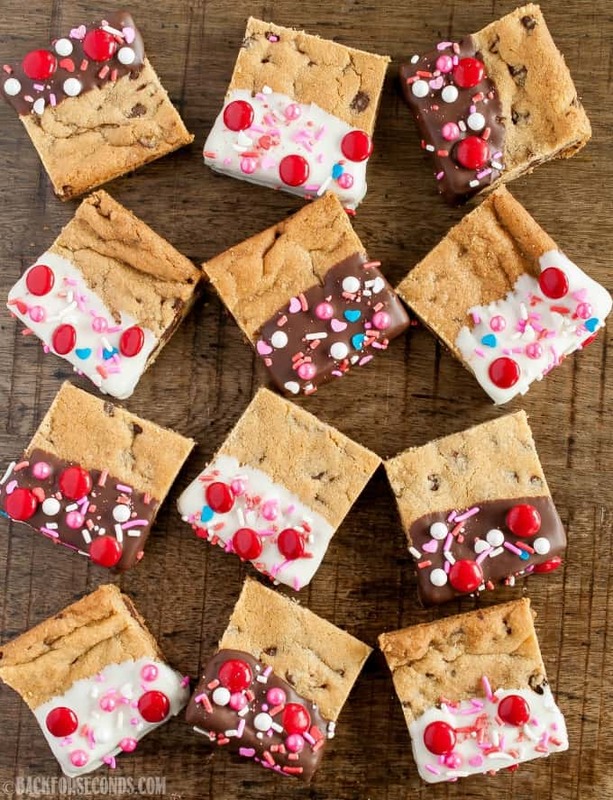 Happy to read your simple and must try valentines day cookie bar recipe. I really loved this very much. Thank you so much for sharing this here. I think this recipe was very easy to make my grandson is four years old. He and I had a fun time making this treat for his mommy for Valentine’s day. I added a few drops of red food coloring to the frosting to make it pink. Keep posting with such simple and healthy recipe. Cool!